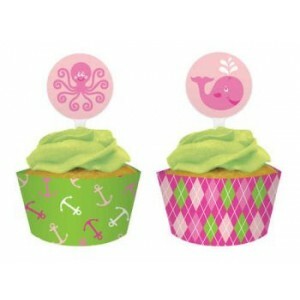 Pack of 12 Ocean Girl Cupcake Wraps & Picks. Ideal for medium to large cupcakes. Make a lovely display of ocean girl cupcakes to be the centre of your party table that all your guests will admire. Guests can then take a cupcake home as a party favour. 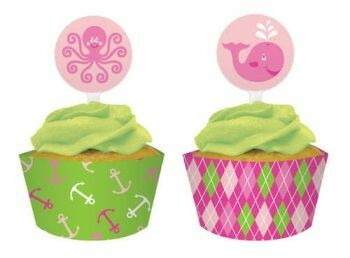 Pack of Ocean Girl Cupcake Wraps & Picks. Ideal for medium to large cupcakes. Make a lovely display of ocean girl cupcakes to be the centre of your party table that all your guests will admire. Guests can then take a cupcake home as a party favour.